Akshay Kumar, Bhumi Pednekar, Anupam Kher, and producer Neeraj Pandey, were in London for the International Media Conference for TOILET: EK PREM KATHA (Toilet: A Love Story), on Thursday 20th July. Set against the backdrop of Indian Prime Minister Narendra Modi’s initiative to improve sanitation across India, ‘Swachh Bharat Abhiyan’ (‘Clean India Movement’), TOILET: EK PREM KATHA is a satirical and light-hearted take on open-air defecation in India, and the fundamental need to provide households across the nation with a functioning toilet. Viacom18 Motion Pictures, KriArj Entertainment and Neeraj Pandey, in association with Plan C Studios and Cape of Good Films LLP present TOILET: EK PREM KATHA, which is directed by Shree Narayan Singh, best known for his work editing smash hits such as Baby (2015), M.S Dhoni: The Untold Story (2016) and Rustom (2016). 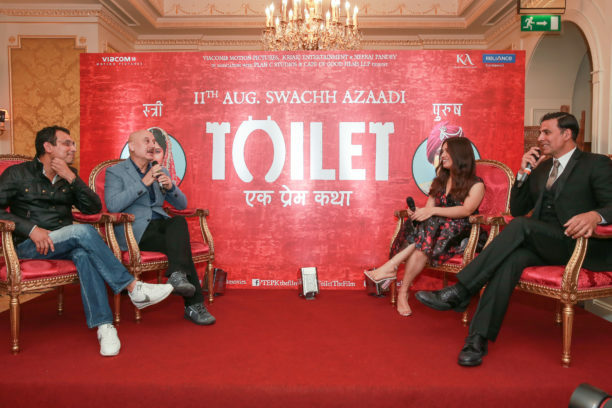 TOILET: EK PREM KATHA’s first international media conference was a huge success and had the cast members providing insights into the complex issues that the film is based on and how the film addresses this important topic. 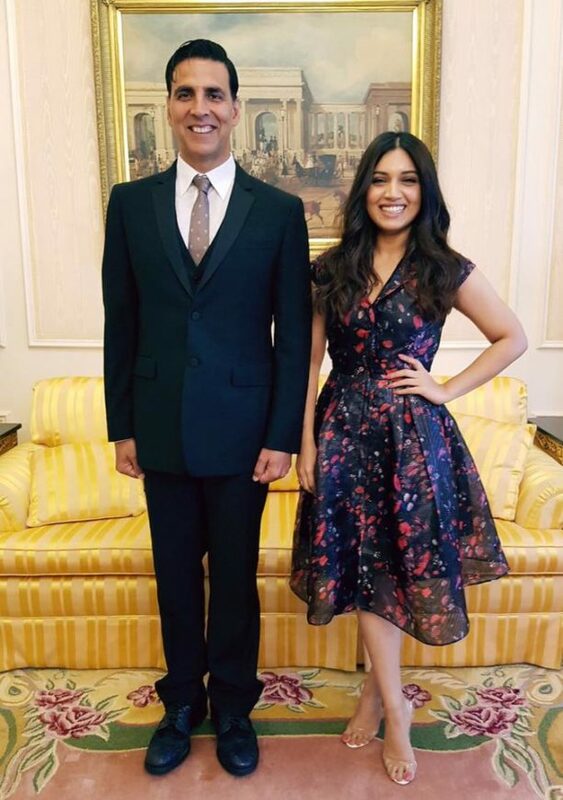 Ahead of the conference, Akshay Kumar in his inimitable, impromptu style, took his co-stars Bhumi Pedneker and Anupam Kher on a special tour of London in an iconic black cab, where Akshay Kumar gave his fans a special Facebook live show. Check out these shots from that cab ride and special photos from the brilliant press conference! 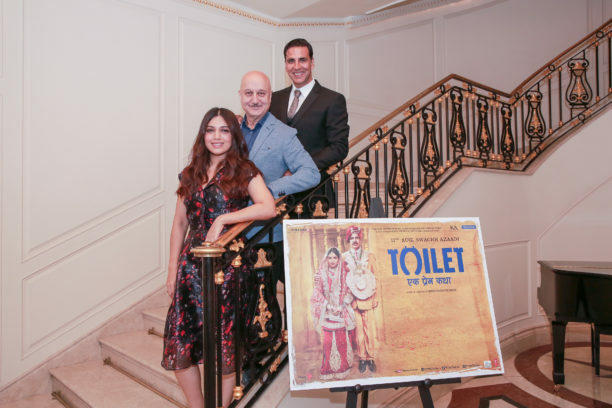 A revolution in the making, TOILET: EK PREM KATHA uses humour to educate the world and bring to light the issues surrounding sanitation and women safety in India. Not to be missed, be sure to catch the film’s release internationally in cinemas on 11th August by Reliance Entertainment and KriArj Entertainment. 15 queries in 0.346 seconds.